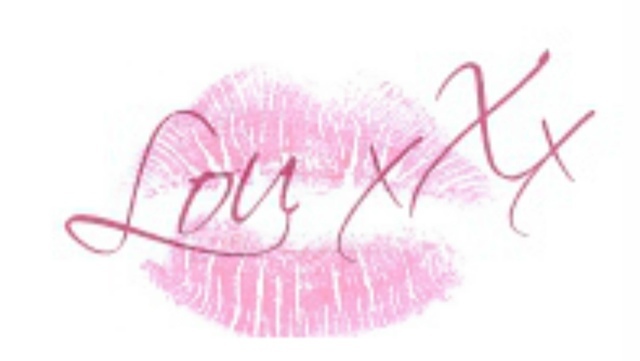 Lou Loves Beauty: Eye of Horus Brow Define Pencils. Eye of Horus Brow Define Pencils. 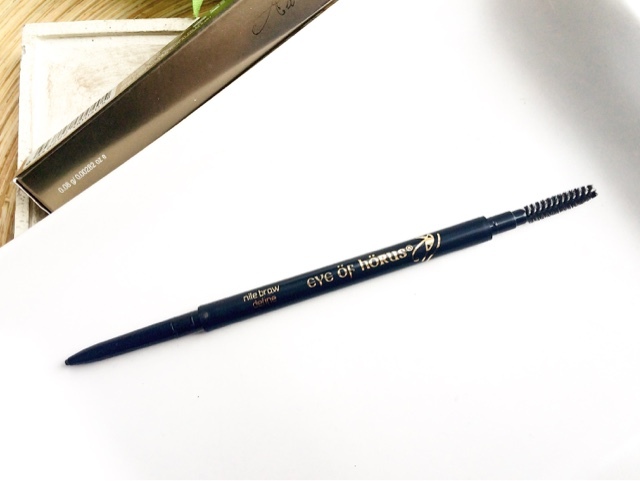 Today I'm introducing some new products from Eye of Horus - the Brow Define* pencils. I think a good brow product is essential to any make up bag, whether you like the natural look or a more defined dramatic brow, one thing is certain. The tools can make or break a good brow. 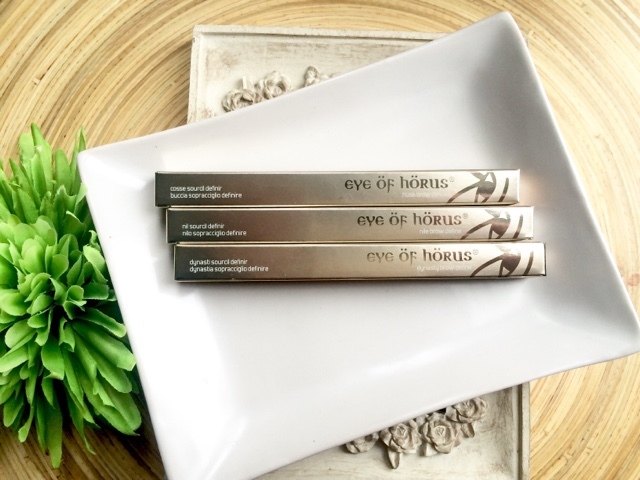 The pencils from Eye of Horus are in my opinion are up for the challenge when it comes to brows, by creating the perfect shape whether you need to fill in the gaps slightly or do major brow reconstruction. The design is very similar to the Anastasia Brow wiz where the twist up pencil houses an ultra fine tip, making the task of defining and filling in brows a breeze. The pencils contain Candelilla, Coconut Oil and Castor Oil which helps condition the hairs as well as delivery staying power. They have a slight waxy feel which adheres to the brows, as well as taming unruly hair and keeping them looking their best all day. As with any good brow product the spooley makes the perfect companion, brushing through the hairs and softening the lines and delivering the perfect natural shape. 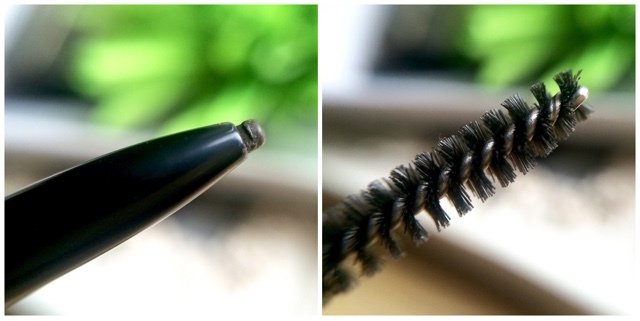 The spooley on these pencil's is really good, which i know is not a deal breaker, but the close knit bristles really comb through the hair, dispersing the product evenly and eradicating the risk of product build up. My normal product of choice is a gel or powder but since trying these i have moved my brow game into a different direction. These do everything i ask of them, and they do it quickly . My brows are defined, and i'm able to create any shape i want. I can over fill them for a more bold Cara Delevingne look, or lightly use the pencil to mimic hairs for a natural soft look. Whatever shape you require this can help you achieve it. The pencils come in three shades and for a blonde haired gal like myself i can safely say 'Husk' is cool toned - so no risk of orange brows with this! I think the colour is so important when talking about brows, you want to make them look as natural as possible and the chances of doing this with a warm, red toned pencil is very hard (unless of course you have lots of red tones in your hair). As you can see from the pictures above my natural brows are very sparse towards the front and these pencils can allow me to create a gradient effect, or i can draw fine hairs in at the front (middle picture) so it looks fuller and more defined. I'm really impressed with these pencils and think if you're struggling to find a good brow product these are definitely one to look out for. Have you tried these before? What's your brow product of choice?